The national security enterprise needs modernization. Traditional challenges from nation-states, non-state actors and trans-regional or multi-domain threats can disrupt U.S. national interests and global peace. Dealing with these challenges requires the application of all instruments of national power to achieve U.S. national security goals. No single element of national power can comprehensively address global challenges for the U.S., nor can a single U.S. government department or agency meet those challenges alone. Better resourced than the other U.S. governmental departments, the Department of Defense (DoD) often encounters challenges that require the application of all of the national instruments of power. Other agencies and departments, such as the Department of State, may have specific and relevant expertise, but they lack the resources to decisively contribute to stabilization operations. What is needed to manage expertise and contextual complexity across the wide spectrum of agencies in the U.S. government is a mandate by Congress for compulsory interagency coordination, much like the 1986 Goldwater-Nichols Act. Without formal coordination during the Cold War, the U.S. services inadequately coordinated their efforts, resulting in a less capable, a less interoperable, and a more expensive military. The Goldwater-Nichols Department of Defense Reorganization Act of 1986 reorganized the defense establishment to deal with the perceived threats and national security issues of the Cold War. Its success in reforming the DoD into a more integrated organization cleared the path to truly joint operations and provided an example for successfully creating interagency efforts. Goldwater-Nichols serves as a template to enable a whole-of-government approach to foreign policy and national security. Despite demonstrating excellence in their own fields, agencies and departments within the U.S. national security enterprise lack a cohesive structure to bind their efforts together. Today’s challenges require a single unified approach and by restructuring the national security enterprise, the U.S. can be more effective at addressing its national interests in today’s complex world. After World War II, the military establishment was reorganized to address current military capabilities and new threats to the state. The National Security Act of 1947, and its subsequent 1949 amendment, brought many changes to how the U.S. government approached national security, military, and national intelligence establishments. This act created the National Security Council (NSC) to support the executive branch, with strategy related to national security issues. The council is the principal forum to advise and assist the president in national security, and coordinates the U.S. departments and agencies in creating a unified strategy and executing national security policy. 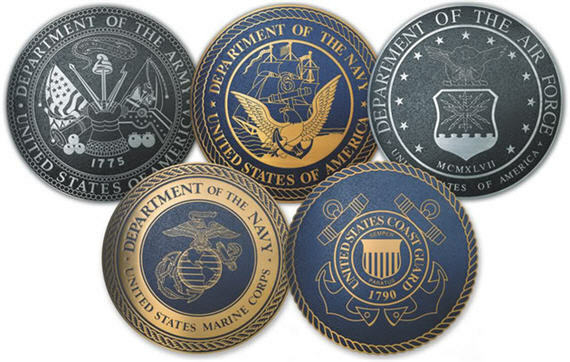 The act also reorganized the armed services by creating the DoD, headed by the Secretary of Defense, and under which came the Departments of the Army, Navy, and Air Force. By the 1980s, the DoD needed to change service relationships and its departmental approach to national security interests. The challenges addressed by Goldwater-Nichols then are similar to the challenges faced by the interagency today: parochialism, interoperability, and a lack of coordination. Parochialism occurs when individuals and organizations see the world through their own unique lens. Narrow-minded perspectives can lead to incomplete or ineffective solutions and strategy. For instance, civilians may not understand military necessity, and the military may not appreciate the subtlety and finesse learned in diplomacy. While these virtues seem at odds with one another, formally restructuring the national security enterprise can enable the retention of that expertise, while simultaneously opening the aperture to a wider field of view. This change also has the potential to improve the number of available solutions when problem solving, by moving from a singular departmental approach to a coordinated one, where individual departmental strengths are leveraged as needed in order to achieve the solution. The DoD, State Department, and other agencies and departments procure equipment and establish networks independently of one another. The detrimental impact of this approach was demonstrated by the tragic events that occurred in 1980 during Operation Eagle Claw, when the incompatibility between the services led to a failed mission. Currently, there is no formalized structure for interagency coordination. Lacking a common language and forums for planning and execution, professionals can only at best work to de-conflict activities, as opposed to complementing each other’s capabilities. Without a mechanism to force this outcome, coordination is informal and voluntary, and missteps result. Today, the lack of interoperability is the norm between various agencies responsible for national security. For example, the DoD communicates almost exclusively on classified networks while agencies like USAID function entirely on unclassified networks. Even when senior leaders have noted this obstacle, as during the U.S. response to the 2014 Ebola outbreak in West Africa, success in overcoming the lack of interoperability has been modest and cumbersome at best. Legislation forced the DoD to prioritize its acquisitions with an eye on interoperability. Similar results can be achieved in the interagency arena when new legislation prioritizes interagency interoperability in acquisition decisions. The Goldwater-Nichols Act also made significant changes to the organization of the armed services. The changes enabled the provision of better military advice to the president, National Security Council, and the Secretary of Defense, which translated to more “attention to the formulation of strategy and to contingency planning, to provide for more efficient use of defense resources.” The act also empowered the combatant commanders to accomplish their missions with appropriate authorities, and made overall changes to create a stronger joint military force. This benchmark legislation accomplished defense reorganization by reducing interservice rivalries by promoting jointness, streamlining the chain of command, strengthening the advisory role of the Joint Chiefs of Staff, and changing personnel and budget processes. As such, formally restructuring all U.S. national security organizations is the logical next step towards unity of effort. Developing a better interagency construct is not a new idea, and as the literature demonstrates, a great deal of thought has gone into the endeavor. Over the past decade, several studies identified a need to conduct a reform of national security practices. The intended outcomes of Goldwater-Nichols were to: strengthen civilian authority; improve military advice; place clear responsibility on combatant commanders; ensure commensurate authority for the combatant commanders; increase attention to strategy and contingency planning; provide for more efficient use of resources; improve joint officer management; enhance the effectiveness of military operations; and improve DoD management. Within the interagency literature, there is growing consensus on the need for a whole-of-government approach to national security that applies all elements of national power. Former Secretary of Defense Gates noted, “if we are to meet the myriad challenges around the world in the coming decades, this country must strengthen other important elements of national power [beyond the military] both institutionally and financially, and create the capability to integrate and apply all of the elements of national power to problems and challenges abroad.” James Locher posits that “all major national security missions require an interagency ‘whole-of-government’ effort,” further indicating that the overall national security system is broken, and fails to deliver a comprehensive, systemic approach to addressing matters of national security, both at home and abroad. The 2008 Congressional Research Service report, Organizing the U.S. Government for National Security for Congress, and the 2001 Road Map for National Security note several points of friction across the national security establishment, including the cumbersome bureaucracy under which it receives strategic guidance, not the least of which is how each department or agency interprets that guidance. [11, 12] Cultural biases and parochialism inherent to each department figure prominently in the lack of understanding and empathy between the many interlocutors responsible for playing a role in the security of the nation. Of significant challenge in developing a comprehensive approach to national security is the lack of an overarching legal authority to provide the necessary impetus for departments and agencies to collaborate in a productive and meaningful way. Dale, Serafino, and Towell’s Road Map for National Security further noted the limited capacity of civilian agencies to carry out their mandated activities. Despite frequently lacking the requisite expertise to do so, the Department of Defense often takes on responsibilities beyond its mandate, carrying out “various foreign affairs activities such as economic reconstruction, the training of foreign police forces, and humanitarian assistance.” Secretary Gates highlighted this fact in his 2007 Landon Lecture. Insufficient interagency coordination and integration mechanisms lead to wasted resources, possibly sent conflicting messages, signaled a lack of national unity, and potentially wasted resources and duplicated efforts. Budgeting within the U.S. government, which is often central to departments and agencies, is unsuited to achieving national security objectives. Departmental budgets are prepared based on a review of strategic guidance, already identified as operating in an isolated manner, and failing to “match strategy to resources.” Gordon Adams, Professor Emeritus at the School of International Service at American University, has written and spoken extensively on budget reforms to national security based on functional areas such as national security and foreign assistance, rather than the ineffectual federal budget process of today. The 2009 Quadrennial Roles and Missions Review Report suggested developing the Joint Operating Concept into a whole-of-government context that creates a forum for collaboration. The result would be better collaboration on concepts such as security, disaster relief operations abroad, and anti-terrorism. The net result would be an institution capable of planning and conducting operations to meet all national security objectives. According to the report, long term success depends on, amongst other things: economic development, institution-building and the rule of law, promoting internal reconciliation, good governance, providing basic services to the people, training and equipping indigenous military and police forces, and strategic communications. Military success alone cannot achieve those objectives, and there must be a reliance on a whole-of-government approach to overall success in achieving U.S. national security objectives. In 2008, the Road Map for National Security: Imperative for Change, U.S. Commission on National Security proposed fifty separate recommendations to affect change in the “structure and processes of the national security apparatus.” Gary Hart posits that failure to adopt the many recommendations, including reforms in securing the homeland, recapitalizing America’s strengths in science and education, institutional redesign, reinvigoration of the prestige in service to the nation, and the role of Congress may result in not only significant fiscal loss, but also in lost opportunities to prevent crises that negatively affect American interests and values. In order to solve the complex problems facing the U.S., the national security enterprise must be restructured so that the synchronization of interagency national security activities becomes institutionalized. At the national-strategic level, these changes should be centered on the restructuring and repurposing of the National Security Council. The NSC should retain the responsibility for advising President of the United States and coordinating all national security activities, but should also become the command and control mechanism for them. The National Security Advisor should have the authority to execute the President’s National Security Strategy, be required to present the national security budget, and lead the NSC. To be clear, this changes the role of the National Security Advisor from that of an advisor to a legal authority for directing the whole interagency apparatus regarding national security. This change in responsibility would result in the position transformed into a National Security Director and would certainly require Senate confirmation. The NSC should retain the responsibility for advising President of the United States and coordinating all national security activities, but should also become the command and control mechanism for them. By consolidating control of all the national security mechanisms that reflect all of the elements of national power into a single entity, the issues of department parochialism and the compartmentalized planning that accompanies it would be minimized. This structure would enforce synchronization at the national level by having all departments consolidated under the direct control of the National Security Director. The National Security Director would be charged with ensuring a shared understanding of the National Security Strategy and direct course corrections when any element of national power strays from its strategic direction. Jason Perry and Terry Fellows, Jr., observed, “A need exists for national security to have a planning, programming, and budgeting structure that operates as a system rather than as a collection of separate components.” By consolidating the execution and budgeting of the national security enterprise, the NSC members would be required to synchronize their planning efforts, acquisition procedures, communications networks, and global activities. The members of the NSC will be representative of the elements of national power. Those members would include the following positions: the Secretary of State, the Secretary of Treasury, the Secretary of Justice, the Secretary of Energy, the Secretary of Defense, the Chairman of the Joint Chiefs of Staff, the Director of National Intelligence and any other member deemed necessary by the president to execute the National Security Strategy. The members of the NSC will also include new positions, the Regional Council Directors. The presidentially-appointed Regional Council Directors would be responsible for all national security activities within an assigned geographic area of the world, essentially replacing the pre-eminence of the military combatant commands in U.S. global interests. The president would divide the world into regions as required to execute the National Security Strategy in a document much like the Unified Command Plan. This allows for flexibility in the number and size of regions to best meet the requirements of the United States’ national security interests. Executing the strategy and policies of the NSC will be the responsibility of the Regional Councils (RC). The RC will mirror the structure of the NSC so that all elements of national power are represented in the planning and execution of the national security policies for each region. This new structure compels interaction amongst the interagency in planning and execution of national security activities, by requiring a single national security plan and a single national security budget for each region, which essentially eliminates the current compartmentalized efforts of separate departments. Requiring this level of synchronized planning and execution will drive a much greater impetus on interoperability with regards to equipment and networks. Interoperability of equipment, whether that be radios that can communicate with one another, medical supplies that are interchangeable, or any other equipment required by the interagency to conduct national security operations, will need an integrated system of procurement. Consolidating the national security structure and budgeting process also lends itself to consolidating the procurement process. For example, a State Department requirement in the region would be vetted within the Regional Council to determine if a similar requirement exists within another department. If so, the request is made to use the national security budget to meet the requirement. If not, the requirement is vetted at the National Security Council to ensure the requirement isn’t required in another department. However, if only a single department has the requirement, the department funds it out of its own budget. This is akin to how the Department of Defense validates whether a requirement is joint or service specific. Not only does this system improve equipment interoperability, it also reduces redundancies that may otherwise occur due to independent procurement processes. Also, by incorporating all RC members within a single structure new networks will be required, allowing access by all RC members and their staffs to facilitate interagency information sharing, integrated planning efforts, and synchronized control of execution. Within the Regional Council, each of the members will direct all actions of the department they represent within the region. The Defense Department Combatant Commander would direct all military action in the region, and the Regional Intelligence Director would direct all intelligence activities. A key change to the current system would be the creation of a Regional Department of State Director, who would supervise and set priorities for all Ambassadors/Chiefs of Mission within their region of responsibility. Consolidating the control of all department and agency actions within a region in the RC increases the synchronistic effects across the interagency, due to the structure of the RC in planning and executing national security actions. Interagency coordination and synchronization will be institutionalized by consolidating the approval of national security actions in the Regional Director, who reports directly to the National Security Director. Each military service component would continue to be responsible for Title X requirements to organize, train, equip, etc. their service in each geographic area of responsibility, and this will serve as the model for the relationship between the cabinet departments, to include the National Intelligence Council, and their representative forces in each area of responsibility under the RCs. For example, all Department of Energy (DoE) nuclear inspection teams reporting to the African Regional DoE Director will be organized, trained, equipped, etc. by the national DoE. Departments would require a workforce capable of employment in a region on both a regular and contingency basis. Having the subject matter experts implementing their element of national power, rather than using the military as a proxy in contingency operations, may reduce the force requirement for military personnel, but securing those civilian personnel may rebalance the equation. When presented with a requirement for establishment of an interagency equivalent of a joint force command or joint task force, interagency synchronization will be achieved through embedded staff from each of the interagency members in the RC. This is intentionally vague to reduce personnel requirements where there is not a situational requirement, but also allow for judicious employment of all elements of national power within the joint task command/joint task force construct. For example, if there are little or no DoE issues in a joint task force’s area of responsibility then there will be little or no requirement for DoE personnel in the joint task force staff. Because the staff is mandated to be composed of interagency personnel, Joint Interagency Coordination Groups and Joint Interagency Task Forces will be replaced by staff working groups. Each agency director within an RC may not have any units or organizations directly reporting to them in the region, but will need to have them for contingencies. For example, Department of State personnel working the African desk in Washington D.C. may be mobilized for a contingency to help stabilization efforts within that region. Having the subject matter experts implementing their specific element of national power, rather than using the military as a proxy, will increase the effectiveness of the national security system as a whole. Currently, only DoD personnel can be ordered to deploy to a hostile area to support an operation, which requires the military to develop skills to implement the other elements of national power during contingencies, including: state building capabilities, executing economic policies, providing agricultural assistance, and establishment of rule of law, among other activities. Under this new system, all departments would mobilize their members for these purposes. Understanding that these changes reduce the requirements for DoD and require an increase in the manning and resources of the other departments, investments to applying the right skill sets to the right problems far outstrips the costs in blood, treasure, and time, incurred by military discovery learning. Having the subject matter experts implementing their specific element of national power, rather than using the military as a proxy, will increase the effectiveness of the national security system as a whole. The proposed model for national security will institutionalize unity of effort in the processes, budget, structure, and culture of the national security enterprise by ensuring there is a legal authority established to force what is already deemed most appropriate. The ways and means will be inextricably tied together under the National Security Director, and provide an annual presidential National Security Strategy that will work towards the ends outlined by the president. Due to department parochialism, lack of equipment and network interoperability, and a lack of institutionalized coordination, the current national security enterprise is insufficient to address the complexities of the nation’s global interests. The Goldwater-Nichols Act enabled the Department of Defense to solve these problems for the military, and serves as an example of the legislation required to reorganize the broader national security enterprise to address these issues. The proposed model is an attempt to overcome the existing institutional parochialism and create unity of effort amongst the contributors to the U.S. national security enterprise to address global foreign policy and national security challenges. A reorganization of this magnitude will require much time and effort, but it is achievable. Phillip Breton is an officer in the Canadian Armed Forces and is currently serving as an Exchange Officer on the Joint Staff J7, Deployable Training Division in Suffolk, Virginia. Michael Gaffney is an officer in the U.S. Marine Corps and is currently serving at 2nd Marine Expeditionary Force in Camp Lejeune, North Carolina. Michael Langan is a U.S. Army officer and is currently the Chief of Cybersecurity for the United States Forces Korea J6 Staff. Amanda Werkheiser is a U.S. Air Force officer and is currently an Observer/Trainer at the Joint Staff J7, Deployable Training Division in Suffolk, Virginia. The opinions expressed here are the authors alone and do not reflect those of the U.S. Marine Corps, U.S. Army, U.S. Air Force, Canadian Armed Forces, the Department of Defense, the Department of National Defence, or the U.S. and Canadian Governments. The instruments of national power include Diplomacy, Information, Military, Economic, Financial, Intelligence, and Law Enforcement. Barack Obama, Presidential Policy Directive - 1 (The White House, 2009), 2, http://fas.org/irp/offdocs/ppd/ppd-1.pdf. Operation Eagle Claw was a rescue mission by the US military in 1980 to free Americans held in the Iranian Hostage Crisis. The complex operation involved all four branches of service but was a failure due to lack of coordination, compartmentalized training, and inadequate equipment maintenance. The mission failed to rescue the hostages and resulted in two aircraft destroyed and eight military members killed. Public Law 99-433, Goldwater-Nichols Department of Defense Reorganization Act of 1986, 1986, 1. Catherine Dale, Nina Serafino, and Pat Towell, Organizing the U.S. Government for National Security: Overview of the Interagency Reform Debates (n.p., 2008), 1-2, http://fpc.state.gov/documents/organization/104695.pdf. Statement before the Senate Armed Services Committee 30 years of Goldwater-Nichols reform (2015). "Secretary of Defense Robert M. Gates Landon Lecture November 26, 2007." June 15, 2009. Accessed February 28, 2016. https://www.k-state.edu/media/newsreleases/landonlect/gatestext1107.html. Catherine Dale, Nina Serafino, and Pat Towell, Organizing the U.S. Government for National Security: Overview of the Interagency Reform Debates (2008), 4, http://fpc.state.gov/documents/organization/104695.pdf. Gary Hart et al., Road Map for National Security: Imperative for Change (2001), 47, http://govinfo.library.unt.edu/nssg/PhaseIIIFR.pdf. "Kansas State University," Secretary of Defense Robert M. Gates Landon Lecture, accessed February 28, 2016, https://www.k-state.edu/media/newsreleases/landonlect/gatestext1107.html. Dale, Catherine, Nina Serafino, and Pat Towell. Organizing the U.S. Government for National Security: Overview of the Interagency Reform Debates. n.p., 2008. http://fpc.state.gov/documents/organization/104695.pdf. See: Gordon Adams, The role of defense budgets in civil-military relations (Washington, D.C. (777 N. Capitol St., NE, Washington 20002): Defense Budget Project, 1992); Cindy Williams and Gordon Adams, Strengthening statecraft and security: reforming U.S. planning and resource allocation (Cambridge, MA: MIT Security Studies Program, 2008); Gordon Adams, A foreign affairs budget for the future: fixing the crisis in diplomatic readiness: resources for US global engagement (Washington, DC: American Academy of Diplomacy, 2008). Hart, Gary, Warren B Rudman, John Dancy, John R Galvin, Leslie H Gelb, Newt Gingrich, Lee H Hamilton, and Lionel H Olmer. Road Map for National Security: Imperative for Change. 2001. http://govinfo.library.unt.edu/nssg/PhaseIIIFR.pdf. Jason L Percy and Terry A Fellows Jr., "A Whole of Government Approach for National Security," (Monterey, CA: Naval Postgraduate School, 2009). The Unified Command Plan (UCP) is an annual presidential directive that issues guidance to all combatant commanders, provides them their geographic area of responsibility and assigns their force structure. The Department of State already has a system similar to this suggestion in their bureau system. The difference herein this proposal is a Regional Department of State Director and staff that would have increased authority to direct subordinate ambassadors and would be located in the area of responsibility.